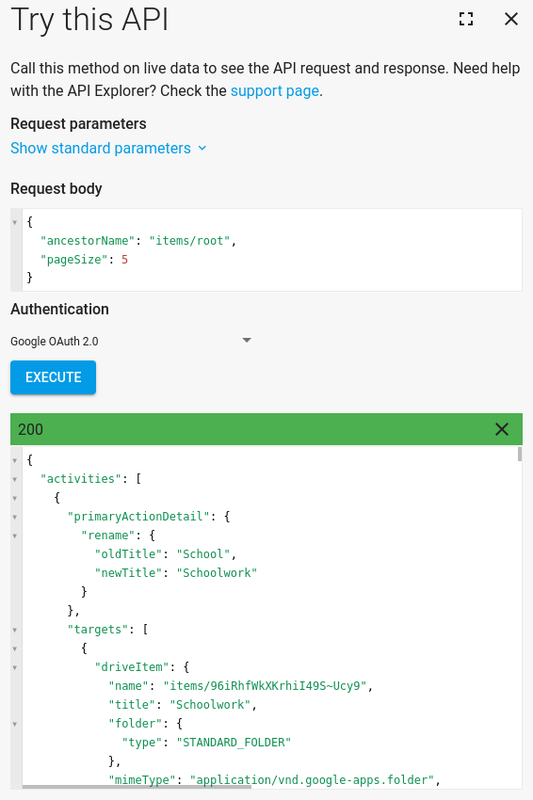 This entry was posted in Google Developers Blog and tagged activity, API, apps, Drive on December 5, 2018 by Google Devs. How many times have you worked in a document only to realize halfway through that you’re editing an outdated version? Beyond being frustrating, this can cause confusion and slow down your project. One of the great things about working in cloud-native tools like G Suite is that everything is automatically saved. You never have to worry if you’re working on the most up-to-date version of a document because your apps do that for you. But for the times that you need to go back and see changes, it’s simple. Go to File > Version history > See version history and view a complete list of changes to your document in one place. You can restore previous versions of a document there, too. Another trick is to simply click the text at the top of your navigation bar that says “last edit was…” or “all changes saved” in Google Docs. If you hover over that text, it will actually tell you what the last change to the document was and who made it. Or if you’re returning to a document, you can click “See new changes” and the Doc will highlight edits that have been made since your last visit. Read on for more tips on how to keep track of work in G Suite. 1. Make copies of specific versions. This is great for sharing “before” and “after” versions of your work with your boss. You can make copies of specific versions within version history. Click the three dot icon next to your selected version and choose “make a copy” to have a second record. 2. Name specific versions of your work. In version history, you can keep track of your work by naming individual versions in your list. Because all of your changes are saved in the cloud, it’s easy to go back and change version names instead of having ten different versions of a “Final” document floating in email threads. Bonus points for creative names! 3. See who’s viewed your work and when. If you’ve ever wondered who specifically has looked at your work, there’s a way for you to view activity within Google Docs, Sheets or Slides. Those folks who use paid versions can go to Tools > Activity dashboard and see detail about the number of people reviewing their document, who specifically has reviewed and viewership trends. If you want to get there quicker, you can use this keyboard shortcut to see the activity dashboard: Ctrl + Alt/Option + T, then click Z. 4. Set up notifications to see when changes are made in Sheets. If you’re working in a spreadsheet to track a project, you may want to see regular updates for when changes are made. You can set up notifications to alert you of changes immediately after someone changes data in a cell. Select Tools > Notification rules and choose the settings you prefer. Don’t let version issues slow down your work. Use these tips to maneuver past mix-ups. This entry was posted in Official Google Blog and tagged docs, Drive, G Suite, sheets on October 24, 2018 by The Official Google Blog. I’m one of those people who always cuts it close at the airport—it’s a race through security, with just enough time to grab the airline essentials: water bottle, magazine, a soft pretzel if I’m lucky. But I just learned that I can whip out Google Maps to find my way around the airport (by searching the airport name and terminal number), so I no longer waste time running around looking for my snack of choice. For two decades, Google has built products that make my life more useful. Eight of these products now have a billion users, and with all that extra time at the airport, I got to thinking—how many other unknown tips and tricks are out there? Since Google is celebrating its 20th birthday this month, I present a party favor: tips on Google’s most-used products, straight from the people who helped build them. For lovers of covers:Try searching for a song and then tapping “other recordings” for different renditions. Don’t burn daylight: Make the most of your daylight hours by knowing when the sun will go down. Search [sunset] to get the time the sun will set today. For content connoisseurs:If you’re a fan of bingeable TV shows or a movie buff, you can see all the places to stream any show or film by searching [watch] followed by the title. (Head’s up: this is available in the U.S., Great Britain, Australia, Germany and India). Beat the crowds:Use Google Maps to find out the estimated wait times and popular times to visit your favorite restaurants and businesses. Don’t get lost in the parking lot:If you’ve ever spent way too long searching for your parked car, this tip’s for you. After navigating to your destination, tap on the blue dot and then “Set as parking location” so you can always find your way back to your parking spot. Quickest route to the airport snacks:If you’re flying to a new place, you can use Google Maps to help you find your way around an airport. A quick search for an airport terminal name, say “SFO Terminal 1,” will show you the lay of the land, including nearby gates, lounges, restaurants and stores. Just add popcorn:Developed to cut down on glare and give you that movie theater experience, Dark Theme turns your background dark while you’re watching YouTube. It’s available on desktop, iOS and now rolling out to Android. Pick your pace:Speed up or slow down the playback of a video by tapping on the three dots at the bottom right of any video. Take a shortcut:While watching a YouTube video, use the numbered keys to seek in a video. For example, hitting “2” will take you 20 percent into the video, “6” will take you to 60 percent into the video, “0” will restart the video. The ultimate to-do list: Open Tasks in your side panel within Gmail, then drag and drop emails to turn your messages into action items. 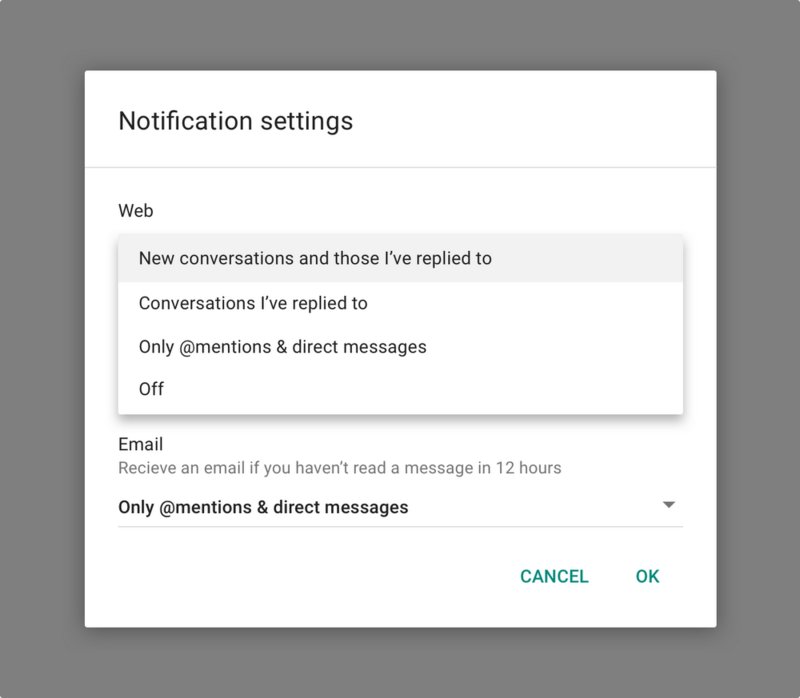 Shhhh:Declutter your inbox with Gmail’s mute feature, which pushes the entire conversation to your archive and any future conversations on the thread bypass your inbox to be automatically archived as well. Give your docs a gold star:Find your favorite Drive items by starring your most important docs within the Drive main menu, and then bookmarking your Starred page. File_name_V2:Freeze moments in time by naming different versions of the docs you edit frequently. In a Doc, Sheet, or Slides go to File > Version History > Name current version. Name any version then access it easily from "Version history" by name. Your search is our command:Google Drive makes the text within all of the images and PDFs you upload searchable. Try searching for a phrase that you know is inside a picture or PDF, which is especially helpful when you can’t remember your filename. Lost and found:If you’ve misplaced your Android phone, Find My Device lets you locate it by signing into your Google account. Or you can call it directly from a browser by typing “find my device” on Google. Lock your phone remotely or display a message on the lock screen, so if someone finds it they know who to contact. If you’re convinced it’s lost for good, you can erase all your data. Always reachable:Don’t miss any urgent phone calls and messages from important contacts like close family members or your child’s school, even when you have Do Not Disturb turned on. Just add a star to people that matter to you, and then allow calls and messages from “starred contacts only” in Do Not Disturb settings. Use your voice:You can ask your Google Assistant to handle tasks on your Android phone (running Android 6.0 Marshmallow or later). Start by saying “OK Google,” then try “take a screenshot,” “turn on flashlight,” or “open WiFi setting.” You can even ask to “take a selfie”—this will open the camera app and start a countdown. Cheeeeeeeese. When you’re good with faces, but not names:Just hit pause on your movie, tap the circle around the actor or actress's face, and learn more about them and what other movies they’ve been in. Read like a superhero: When you’re reading a comic on your phone, tap on a voice bubble and use your volume buttons to zoom in on the dialogue between two characters. What you wish for:You can create a wishlist to keep track of items you want to install or purchase on Google Play. Access history across devices:Open Chrome and click on “History.” From the drop down menu, click “Full History” and “Tabs From Other Devices.” If you’re signed into the same Google account on both your phone and your computer, you’ll see the article you were just about to finish on your way into work. Keeping tabs on your tabs:You can save eight days of time per year using keyboard shortcuts. Try this one in Chrome: jump between tabs at light speed by pressing Ctrl and the tab number you want to go to (i.e., Ctrl+1, Ctrl+2, Ctrl+3). 👀☝😀 = 🎉. Right-click in any text field for a shortcut to access emoji on any platform Chrome can be found. So many tips, so much saved time. This entry was posted in Official Gmail Blog and tagged Android, Chrome, Drive, Gmail, Google Play, Maps, Search, YouTube on September 21, 2018 by Gmail Blog. In 1958, U.S. corporations remained on the S&P 500 index for an average of 61 years, according to the American Enterprise Foundation. Fast forward to today and companies are being replaced approximately every two weeks. In this rapidly changing market, traditional companies are looking for ways to stay competitive and more and more enterprises, including Nielsen, Colgate and Airbus, are turning to G Suite to help them reimagine how they work to keep pace. We know that enterprises want to move to cloud-first collaboration to transform how they work, but, understandably, they have questions about how to make it work in a business of their size. What happens with email security? How can they manage their data? How does G Suite work with the tools and systems they already have in place? Yesterday we announced new products to help businesses reimagine how they work, and today we’re sharing additional solutions we’ve built to address these concerns. Here’s a snapshot of what we’re announcing today. Read on for more detail. Keeping your data secure is our top priority, which is why we use machine learning to analyze threat indicators across billions of messages in Gmail to help quickly identify potential security attacks in the making. Machine learning helps protect more than 1.4 billion active Gmail user accounts from nearly 10 million spam and malicious emails every minute. Today, we’re making the new Gmail generally available to G Suite customers so that, in addition to these baked-in security features, more companies can take advantage of features like redesigned security warnings, snooze, offline access and more. You can learn more in this post. Searching through your company’s data should be as easy as doing a web search. But the reality is most companies’ information is spread across different silos and systems that don’t talk to each other, which makes finding things a lengthy chore. We introduced Cloud Search last year to make it easy to find information across G Suite in a way that’s intuitive and assistive. Today, we are announcing new Cloud Search functionality to help companies intelligently and securely index their third-party data beyond G Suite, whether that data is stored in the cloud, or on-prem. Companies, like Whirlpool Corporation, have started deploying Cloud Search’s new capabilities to unify search across multiple data sources. Using Cloud Search’s new SDKs, APIs and connectors for third-party connectivity, Whirlpool created a custom app called Whirlpool SearchPro that indexes more than 12 million documents across different on-prem and cloud systems and returns results in 100s of milliseconds on average. Moreover, search results reflect the specific permissions and access controls from each of the source systems to ensure that individuals only see the information they should. 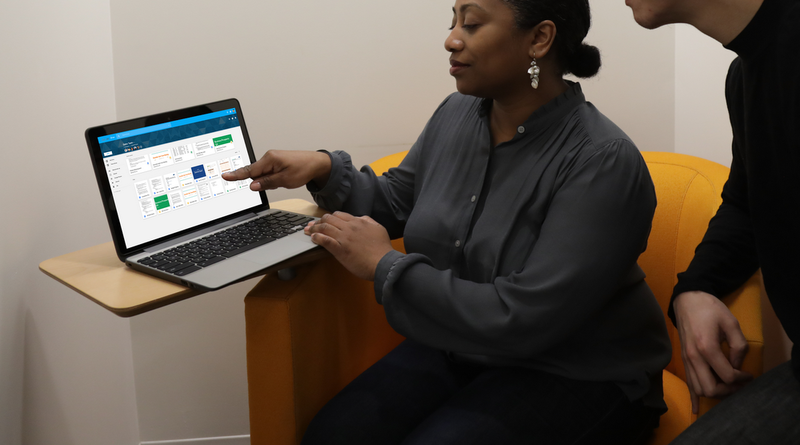 Cloud Search’s new functionality will be available to G Suite Enterprise customers as well as any company looking to power their enterprise search needs as a new standalone offering. We’re also pleased to offer qualifying Google Search Appliance customers an upgrade pathto Cloud Search. Cloud Search is currently being deployed by an initial set of customers, and we’re excited to have 15 launch partners on board, including SADA, Onix and Accenture. Learn more. We first introduced Hangouts Chat, Hangouts Meet and Hangouts Meet hardware last year to make it easier for employees to collaborate with colleagues across the globe, be it face-to-face or via chat. Aside from bringing the best of video conferencing to businesses, we also want to create better telephony solutions so that employees can be more productive over the phone. For close to a decade, millions of consumers have used Google Voice to connect with folks across the globe. Now we’re bringing an enterprise version of Voice to G Suite. On top of the existing features that users love, Google Voice is tightly integrated with G Suite apps, like Hangouts Meet and Google Calendar, and provides administrator capabilities best suited for the enterprise. Admins can manage users, provision and port phone numbers, access detailed reports and set up call routing functionality. Voice also lets you deploy phone numbers to employees, or even entire departments, at once, and assigns a number that’s not tied to a specific device. AI-powered features in Voice also help facilitate voicemail transcription and spam filtering, which helps eliminate disruptions for employees so they can focus on what’s important. To try out Google Voice within your organization, you can sign up for the Early Adopter Program. Lastly, we want to make it simpler for businesses to adopt and use G Suite, and a large part of this is ensuring a smooth transition off legacy enterprise content management (ECM) systems. To help, our customers will now be able to purchase Drive Enterprise as a standalone offering with usage-based pricing. 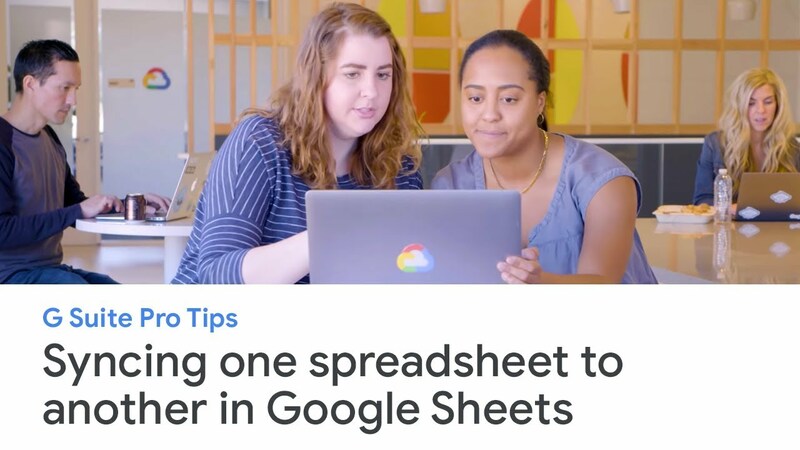 With Drive Enterprise, businesses can move their content to the cloud in Google Drive, and employees can create and collaborate securely with tools like Docs, Sheets and Slides without disrupting other legacy office productivity tools. More than 2 trillion files are stored in Google Drive to date, and most recently, Google was named a leader in the Gartner Magic Quadrant for Content Collaboration Platforms (CCP) for the second year in a row. Learn more about the new Drive Enterprise. We’ve also made a concerted effort to make it easier to use G Suite with existing legacy tools so that you can avoid interruptions at work. Whether it’s making sure your calendar details stay intact between Microsoft Exchange and Google Calendar, providing new ways to integrate Hangout Meet with existing hardware, making it easier to collaborate with teams outside of your domain and more, we’re focused on building solutions to make your work day easier. Read more about our latest interoperability capabilities in this post. Visit the G Suite website to see how you can transform how your enterprise operates. *The G Suite Trusted Tester and Early Adopter Programs will soon be renamed as Alpha and Beta, respectively. More details to come. This entry was posted in Official Google Blog and tagged Drive, Gmail, google cloud on July 25, 2018 by The Official Google Blog. While Laurel vs. Yanny dominated office chatter this past month, businesses also got their first taste of working in the all-new Gmail. Packed with advanced security features, more integrations and new applications of Google’s artificial intelligence, Gmail is already receiving positive feedback like this, this and this from users. To experiment with the new Gmail in your personal Gmail accounts, go to Settings in the top right of your inbox and select “Try the new Gmail.” It’s also available for G Suite businesses to use in the Early Adopter Program (EAP). → Now you can work offline with ease in the new Gmail. Open Gmail in Chrome browser and search, write, delete or archive up to three months worth of messages. → We made some minor changes to Drive’s user interface (UI), stuff like colors and fonts. → We're rolling out Hangouts Meet to new regions. Welcome Colombia, Croatia, Lithuania and Portugal! We’re also automatically enabling Hangouts Meet (instead of Classic Hangouts) for all G Suite domains. Now, you’ll see Meet video meeting details in your Google Calendar events. → We’ve expanded Braille support for Sheets on Windows computers. Now you can use Braille on ChromeOS, Windows and Mac systems. Learn more. → Jamboard is now Bluetooth-enabled. Connect Bluetooth Conferencing devices (speaker and microphone combined) for your next jam session. Check out a full recap of all product updates in May (PDF version). This entry was posted in Google Drive Blog and tagged Drive, Gmail, google cloud, Google Drive, Hangouts, sheets on June 7, 2018 by Drive. This entry was posted in Google for Work Blog and tagged Drive, G Suite on April 2, 2018 by Danielle Hertz. While we all tuned in to see who would win gold at the Winter Olympics in PyeongChang, our teams multitasked and brought new updates to G Suite. Here’s a look at what happened in February (and okay, a final list of Olympic winners, too.). We can’t say it enough. To stay competitive, your business can’t afford to rely on decades-old legacy systems. SaaS tools—ahem, G Suite—make it easier for you to align teams, make decisions faster and to skip repetitive, manual tasks. And even better: you can do it all from one place. This month, we highlighted new, intelligent updates in G Suite to help teams accomplish more: Hangouts Chat is available, Calendar will use artificial intelligence (AI) to suggest the best conference room for you and Quick Access in Docs will intelligently suggest files to help you build out more useful materials like it does in Drive. Now that Chat is available, you can start using it with your team to move projects forward. First thing’s first. Set up your notifications. Here are more tips on how to use Chat. → It’s now possible to comment on Microsoft Office files stored in Google Drive, just like you do in Docs. Comment, assign tasks or mention coworkers on Office files, PDFs and images within the Drive preview pane. Dive straight into collaborating with clients or coworkers in real-time, no matter the file. → We’re making it easier for developers to create more engaging email experiences for their users using Accelerated Mobile Pages (AMP)—stuff like RSVPing to events, scheduling appointments or filling out questionnaires directly in email. Developers can sign up here for preview access. → Jamboard is coming to the European Union next month. Welcome to the Jam-fam, Republic of Ireland, The Netherlands, Denmark, Sweden, Norway, France, Spain and Finland. → Speaking of jamming, we also added AI-powered AutoDraw to Jamboard. This new drawing tool auto-detects what you sketch in Jamboard and pairs it with suggested images. Great for creative teams or students (or if drawing isn’t your best talent). → Now you can email coworkers within Team Drives. Click the drop-down menu next to your Team Drives name and select “Email members.” Don’t worry, it’s easy to customize who gets your email and who can access what files. Learn more. Here’s a full list of product news (PDF version). See you next month. This entry was posted in Official Google Blog and tagged Drive, G Suite, Gmail, google cloud, Hangouts on March 1, 2018 by Danielle Hertz. Google Drive makes it easy to store and share files in the cloud so you can collaborate securely with your teams and clients while on the go. And we understand that teams work with all kinds of files and tools to get things done. Starting today, we're making it possible to comment directly on more file types including Microsoft Office files, PDFs and images—without having to convert them into Docs, Sheets or Slides. When you're collaborating with an external agency, negotiating a contract with a client or coordinating a sales agreement with a supplier, chances are you're dealing with multiple file formats. With this update, you can now comment on those files in Drive the way you're used to in Google Docs. In the Drive preview pane, comment, assign tasks, or mention coworkers and the people you work can reply back, even if they’re not using G Suite. Let’s say your coworker opens a file on her Windows laptop using MS Word, she will see your comment in the file and can reply right from there. Provide quick feedback on the most popular file formats, including Word, PowerPoint, Excel and PDF files, in the Drive preview pane. With commenting in Drive preview, you won’t need to open up other tools to complete tasks. Instead, open Microsoft Office files, like Word, Excel and PowerPoint, in Drive preview and give feedback in comments then get back to work. AODocs, a company that helps enterprises replace their legacy document management applications and automate business processes integrated with Drive, has been testing the new Drive commenting feature for the past few months. As AODocs helps companies transition from legacy systems, they often collaborate across various licensed software. Collaborate on Excel files—as well as other Microsoft files—all within Google Drive. The ability to comment in Drive preview mode is just one example of interoperability between G Suite and Microsoft Office products. You can also use a Drive plug-in for Outlook to make it easier to insert files stored in Drive to an Outlook email and save incoming attachments to your Drive from Outlook. Our help center has more specifics on how to enable the plug-in for admins. Of course, you can also convert Microsoft Office files into Docs, Sheets or Slides. Click File > Download as and select the file type you need. Lastly, you can choose to edit Microsoft files without converting them fully using Office Compatibility Mode (OCM). With G Suite, you can work the way you’re used to working. Get started. This entry was posted in Official Google Blog and tagged Drive, G Suite on February 7, 2018 by Eric Zhang. We’re designing cloud-based solutions to help teams become more knowledgeable and more effective. Businesses like Whirlpool are turning to Google Drive because they need more secure, friction-free tools to help them house—and more importantly, share—collective company knowledge. Our continued efforts to help businesses collaborate in the cloud have not gone unnoticed. Today, Drive has been recognized as a leader in The Forrester Wave™: Enterprise File Sync And Share Platforms–Cloud Solutions, Q4 2017 report, which ranks cloud-based file sharing and storage solutions for enterprise IT professionals. Earlier this year, Drive was also named a leader among content collaboration platforms by Gartner. There are inherent benefits to working in the cloud, and businesses are starting to take advantage of them. Cloud-first tools like Drive gives companies a single place to store, access and share information, which can improve efficiencies. Team Drives, so you can work on collectively-owned files and feel confident that your work will stay put no matter who comes or goes on your team. AppBridge, so your enterprise can migrate all of its data more securely to the cloud with ease. Drive File Stream, to help you access all data quickly without using up a ton of disk space. Data Loss Prevention and Google Vault for Drive, to help you control how your teams share information and to help you keep sensitive data safe. Quick Access in Drive, to help surface your data faster with artificial intelligence-powered technology. To learn more, access the 2017 Forrester Wave EFSS Cloud Solutions report here. Or get in touch with us to learn more about how your business can benefit from moving to Google Cloud. This entry was posted in Official Google Blog and tagged Drive, G Suite, google cloud on December 6, 2017 by Alex Vogenthaler.